Your specialist for data protection and data security as well as it-security for europe in europe and beyond. 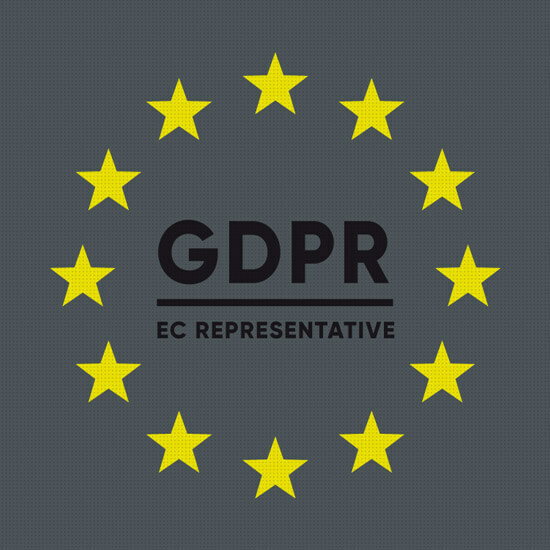 We operate as your ec-representative (ec rep) in europe according to the gdpr regulations (art. 27). Data protection and data security for highly sensitive healthcare data. When data protection in europe, then data business services. For over 27 years Data Business Services has been providing comprehensive services in the area of data protection. Our clients value our single-source solutions. In-depth knowledge of IT is combined with end-to-end legal expertise. Focusing on the areas of data privacy and protection, IT security and information security, we support clients throughout Europe and act as a “bridge” to Europe for U.S. enterprises. We value proximity to our customers, that’s why we are present in Munich, Hanover, Palo Alto, and Los Angeles. What exactly characterizes the clients of Data Business Services? Primarily they are B2B corporations, operating on a European or international level – renowned enterprises as well as successful industrial corporations and medium-sized businesses, plus medical facilities and hospitals. In short: Businesses with a distinct necessity for security, for whom data protection is a top priority matter. The list of data protection and data security issues and requirements depend on the size of an enterprise, and its European or even international orientation. We service national and international clients in the EU from various locations in the United States and maintain branch offices in Northern and Southern Germany. 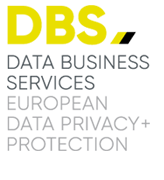 Data Business Services provides you with all the services of an EC-Representative | EU Representative GDPR for data protection. With Data Business Services as your EC-Representative you can be sure that your company is on the right track regarding GDPR compliance. And with an EC-Representative EC REP | EU REP in Europe, you are well prepared for all European privacy inquiries that may arise. A company that is regulated by the GDPR but has no physical presence in Europe is must establish an official representative located in the EU. You have questions about data protection europe? Contact one of our experts! Data Protection Europe - Please feel free to contact one of our experts. At Data Business Services, the sensitive handling of data includes respecting the privacy of our clients. Therefore, we refrain from presenting a list of actual company names here. We are more than happy to discuss our reference solutions with you in a personal exchange. (EU-GDPR) as of May 25, 2018. It is still mandatory for all companies – in Germany – with at least ten employees to appoint a designated data protection officer. For some operations, which require special risk assessment, an officer may have to be appointed even when the staff total is less than ten. Until recently, it has been common practice to compile documents and reports only when specifically asked to do so by a client or partner (systemic approach). Since the amendment, it is being examined whether documents, structures, and ongoing processes are compliant (factual approach). Due to the EU-GDPR we now deliver all documents necessary for the verification of an accountability framework (PLAN-DO-CHECK-ACT). So far, the Data Protection Officer (DPO) solely worked to implement the guidelines of data protection. Since the introduction of the EU-GDPR, the DPO can now be held accountable within the scope of his functions as he/she bears imputable responsibility. Before, penalties of up to € 300,000 were imposed only occasionally, in case of severe violations. Since the adjustments, fines can amount to up to € 20 million or 4 % of a company’s annual revenue. when the structure of the organization does not meet data protection requirements. The EU General Data Protection Regulation (EU-GDPR) merged existing national laws of the EU member states into a unitary EU guideline. For all companies with a registered office within the EU, these data protection rules are now binding. The Federal Republic of Germany utilized the opening clause and passed a new federal data protection law (Bundesdatenschutzgesetz BDSG) as of May 25, 2018, which is now effective in Germany additionally to the EU-GDPR.